Mardi has been on the path of Yoga and Self Inquiry for the last 17 years. Her Practice (Sadhana) has arisen out of structure and spontaneity – Hatha Yoga, Meditation, Pranayama, Bhakti, and reading and exploring the wisdom teachings of India. Mardi’s inspiration is drawn from the universal Truths of both Yogic philosophy (non-dual Tantra and Advaita, Patanjali’s Yoga Sutras), and the Buddha’s Dharma. Poetry of the mystics also resonates strongly. She feels all of these teachings point to the inherent Sweetness of Life! Since childhood, Mardi has had a deep connection with, and love of Nature – who she cherishes as a lifelong teacher and friend. In time, Mardi has realised that her spiritual practice has become a beautiful part of daily life. Inseparable and all pervading! Yoga is a way of Life – an open path to awaken into Freedom! Through exploring the Heart of Yoga, Mardi encourages students to tap into this Aliveness – cultivating a Mindfulness and Awareness that is grounded deeply in the freshness of the present moment. Her teaching and sharing aims to remind us of our true, essential Nature, our unique, innate wisdom and our deep connection with All of Life. Mardi has experienced the authentic, transformative qualities of Yoga – physically, mentally, and spiritually – and is dedicated to sharing these simple, yet powerful Truths with others. She recognises and honours the Spirit, potential and uniqueness in every student – and strives to encourage and support each individual in their own exploration of Yoga. Over the years, Mardi has attended various workshops and retreats in Australia, India and Bali, with Teachers Clive Sheridan, Louisa Sear, Emil Wendel, Simon Borg-Olivier, Sue Scott, Neeta Datta, Shantum Seth, and Ajay-ji and Jaya-ji of Open Dharma. Senior Yoga Teacher Kate Pell has also been a great influence. In 2007, Mardi travelled to Bali to immerse herself in a Yoga Arts Teacher Training. She is a qualified Yoga Teacher, and is registered with Yoga Alliance – an International professional organisation for Yoga Teachers. 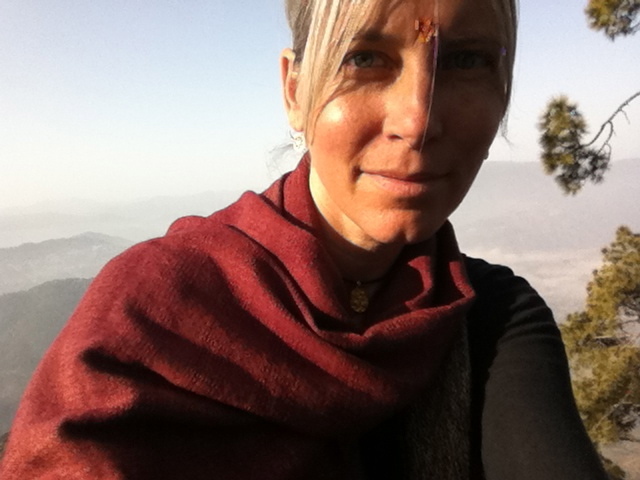 In addition to her formal Training, Mardi has spent many years dedicated to exploring her own Yoga Sadhana (practice), Meditation and Self Inquiry. Precious time spent in India on various long Yoga Retreats, Silent Meditation Retreats and Pilgrimages, has opened the Heart even more to the Sweetness and mystery of Life, deepening her understanding of Self. For Mardi, this is an ongoing, life-long journey, that is constantly evolving and ever fresh. She is deeply grateful to her Teachers, Guides and Friends who continue to shine a light on the Path – particularly her precious and Beloved Teacher, Clive Sheridan – whose boundless wisdom, generosity and Love of Life forever inspires! And the friends of Open Dharma – Ajay-ji and Jaya-ji – Dear Ones who share the Dharma with such unconditional Love.